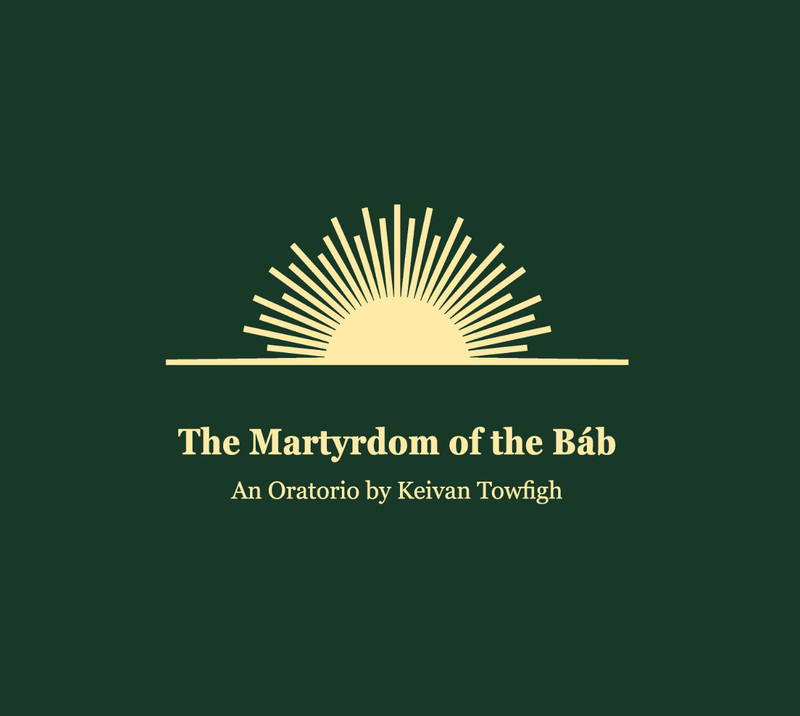 The Martyrdom of the Báb is an Oratorio for orchestra, chorus, organ and soloists. The libretto is in English and Persian, derived from Bahá’u’lláh’s Tablet of Visitation; the epic account, written between 1888-1892, The Dawn-Breakers: Nabíl’s Narrative of the Early Days of the Bahá’í Revelation; and Táhirih’s Persian mystical poem of Divine love, Point by Point (English translation of Point by Point by Amin Banani and Jascha Kessler: http://www.tahirihthepureone.com/PointByPoint.php). Copyright © 2017 Keivan Towfigh. All Rights Reserved.